The 4 hour drive from Launceston to Wineglass Bay on the east coast of Tasmania was long, slow and uneventful (except for the wars being waged in the back seat over, well… everything). It was during this leg of our Tasmanian Christmas vacation that I had a moment of perfect clarity. An Oprah “aha” moment. It was perfect and fleeting. And I knew I had to grab it and flesh it out before it was drowned and lost forever in the singing and wailing coming from behind me. Life was short and I was spending too much time on things and people that were not serving me. In fact, they were sucking the life right out of me! This moment lasted seconds but it felt like existential enlightment flooding every inch of my being! It was a very physical experience, I didn’t just think it, I felt it! And for a few fleeting moments, everything made perfect sense! I decided right there and then to be picky, really picky, with what I allowed to fill my mind! I resolved to set my standards high and to do everything in my power to fill my mind with good stuff! Exciting, inspirational, “feel good” stuff! I made an active choice to fill my mind with beauty and creativity. I identified what dragged me down (and who) and was clear on what fueled me and always set me back on course. And it never fails to shock that pants off me how clear I am when I leave this place! I walk away feeling strong, focused and clear on what and who is important. The other thing that has kept me on track is this blog! If I’m not immersed in putting together the latest post or cooking the latest Dorie recipe, I lose myself in the amazing blogs you guys have. Blogs that feel like a home. Blogs that are lovingly maintained and radiate warmth and personality. Blogs that I look forward to reading simply because they make me feel good. These amazing people, whose blogs I admire, actually throw encouragement and acknowledgement my way and make me feel 10-feet tall! Allison from French Whisk and Yummy Chunklet dished out a Sisterhood of World Bloggers Award! At the same time, Betsy from A Plate Full of Happiness and Katie from Prof Who Cooks awarded me with the Stylish Blogger Award! Talk about feeling great! I am conscious of sounding like a gushing Gwyneth at the Oscar’s so I’ll just say thank you for the awards! 1. Thank the Person – thanks again guys! 2. Share 7 things about yourself – I think I’ve shared enough above and don’t want to risk boring anyone anymore! 4. Let the Bloggers Know! As it’s after midnight in Sydney, Australia I will do this first thing tomorrow!!! Tags: family, gratitude, happiness, inspiration, lessons learned, life, life lessons, lifestyle, meaning, my life, personal, thoughts | Permalink. Congratulations, Sanya! You deserve ALL these awards 🙂 Your blog and life are simply amazing and I especially enjoy your recipes and beautiful photos! Thank you for the shout-out as well, and for recommending other fabulous bloggers. I will be sure to visit their sites very soon. Cheers! I really enjoy your posts! Keep up the great work! Thank you SOOO much for recommending my blog, I’m touched! Congratulations on your awards, you truly deserve them. I too am new to this, so I’m happy I found your blog…I find it inspiring and I really enjoy reading your posts! I’m new to this too! Never realised it would be so much fun and I’d get to meet so many great new people! I know, I feel the same way! Looking forward to your future posts! Congratulations on your well deserved awards! Your sweet comment on my blog brought me here this morning…and your words have hit home. What a wonderful revelation…so true!!! Have a great Friday, Sanya! What an amazing beautiful post! You actually took my breath away. Just going to hold on to that for a while. And your comment just took my breath away! Thank you so much! Congrats on your awards! Lovely post & that first picture was just stunning. 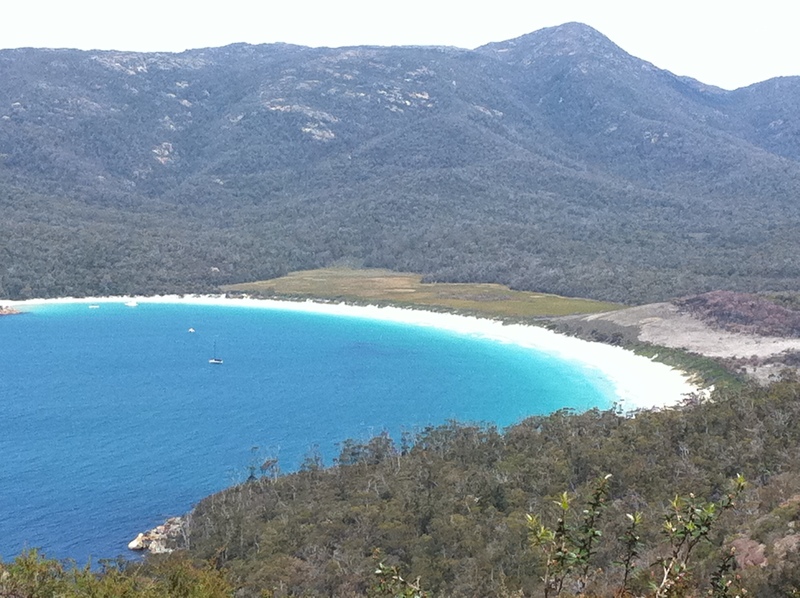 Wineglass Bay was a bugger of a place to get to with hours of hiking! 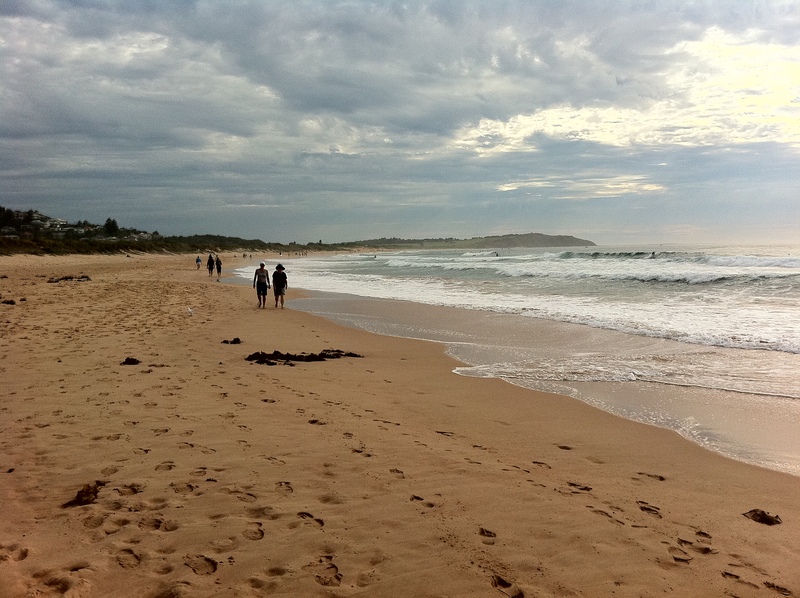 But it’s listed as one of the top 5 most beautiful beaches in the world so it was worth the hike! I have a venture that I’m simply now running on, and I’ve been on the glance out for such information.